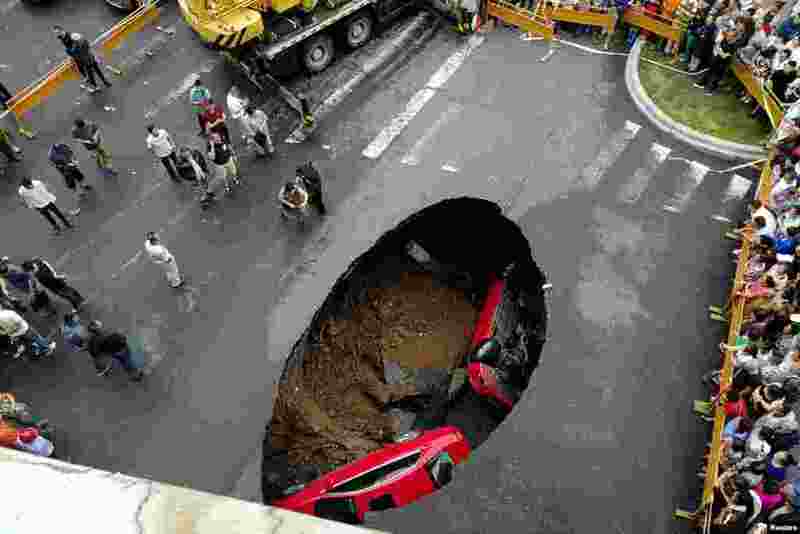 ١ People gather near the scene where two vehicles have fallen into a sinkhole on a street in Harbin, Heilongjiang province, China, Aug. 4, 2018. 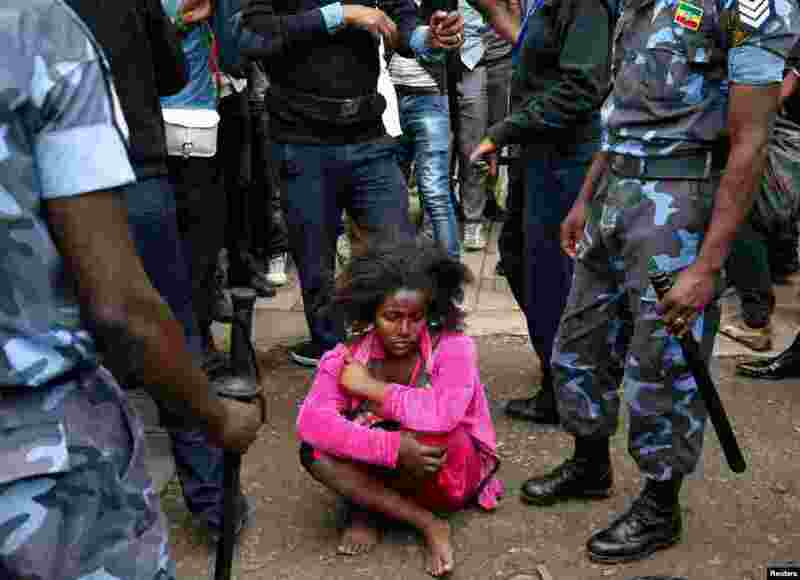 ٢ Ethiopian Federal Police officers detain a woman suspected of carrying explosives during the welcoming ceremony of Jawar Mohammed, U.S.-based Oromo activist and leader of the Oromo Protests, in Addis Ababa, Ethiopia. 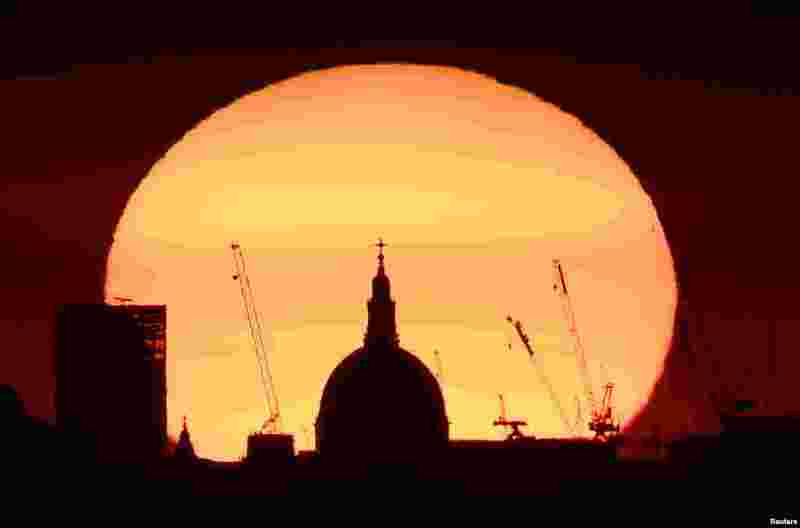 ٣ The dome of St. Paul's Cathedral and construction cranes are silhouetted by the rising sun at dawn in London. 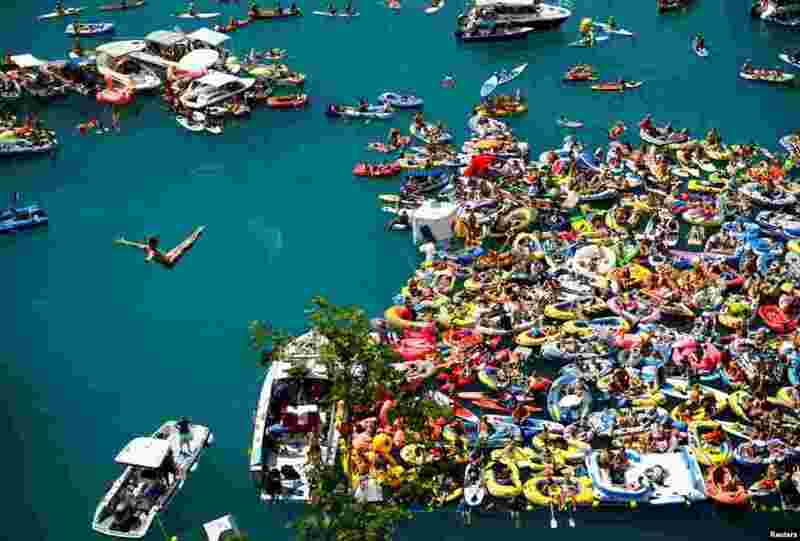 ٤ Andy Jones of U.S. dives from a 27-meter high platform overlooking Lake Lucerne during the finals of the Red Bull Cliff Diving series in Sisikon, Switzerland, Aug. 4, 2018.